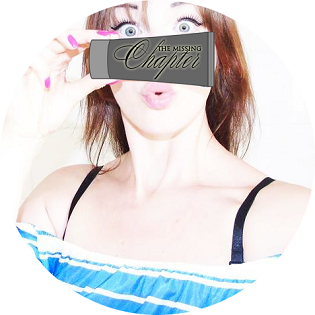 The Missing Chapter - London Lifestyle Blog: What men should know about women. What men should know about women. Things men should know about women. Guides, books and articles on this specific subject, you will find dozens of them in stores and all over the internet. Unfortunately most, if not all of them discuss the popular stereotypes that sooner or later turn out to be a total fiasco. And there are things that men really need to know about women.. Let's turn myths into facts. Women are also afraid of commitments. Whether it's in the beginning of a new relationship or months into it women, just like men aren't always sure or convinced whether they're ready for something long-term or permanent. Just like men they are also afraid of major decisions and big steps. Hormones or instinct don't always work. Women think about and evaluate the possible consequences and try not to jump into conclusions. Fear of serious decisions does not mean lack of maturity. It's more of a fear of failure or disappointments. We like men, not boys. Don't ring your mates or mother for an advice every 5 minutes, solve the equation yourself. Don't expect your woman to do everything for you neither. Real women don't look for a guy just to take care of him but to make it happen together. We no longer live in times where the role of a woman is to take care of the house and the man's to support the family. We're living in times of equality, where duties as required should be divided and treated fairly. If you expect her to be waiting for you with a dinner, a clean house and laundry done after returning home from work every day your expectations are a bit over the top. Sometimes there's no need for a foreplay. There are days when a woman doesn't feel like gentle and slow stroking or kissing. Sometimes we need that tough roughness, as a determined tone of voice and throw on bed. Of course you have to know when the time for that is right. If she comes into the bedroom dressed up in high heels and stockings and not the typical pyjamas I'm sure something's up. Take advantage of it properly. The smallest things mean the most. Don't think that every week a woman expects a gift in the form of new jewellery or a handbag. Instead, do something meaningful. Serve your lady breakfast in bed or write her a letter. Show her that you care about her. The smallest things can put a massive smile on a woman's face, nothing material can replace the effort you put into making something for your queen such as her favourite dish for dinner or flowers picked by you. There's no need to spend money to keep a real woman happy and satisfied. A hissy fit is not always what you think. Ok, maybe sometimes - it happens we get offended without any reason. It's nothing but a female nature and raging hormones. The most common reason for a woman to have a hissy fit, is an attempt to cover up fear or uncertainty. Whether it's a difficult conversation, uncomfortable situation, bad day at work or just a headache. Women rather react with aggression not to expose that they're afraid, instead of admitting or discussing the problem.